January 2014 has been a pinnacle moment in the history of the San Diego music scene. The Casbah is celebrating its 25th year, and they are hosting a nonstop lineup of rock royalty all month long. 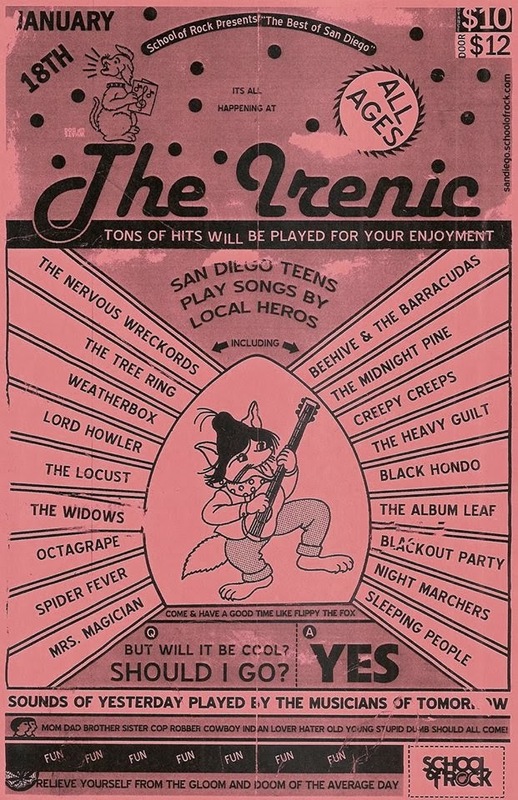 In the midst of their festivities, School of Rock San Diego is presenting this weekend's "Best of San Diego Show" at the Irenic in honor of the iconic music venue's milestone. 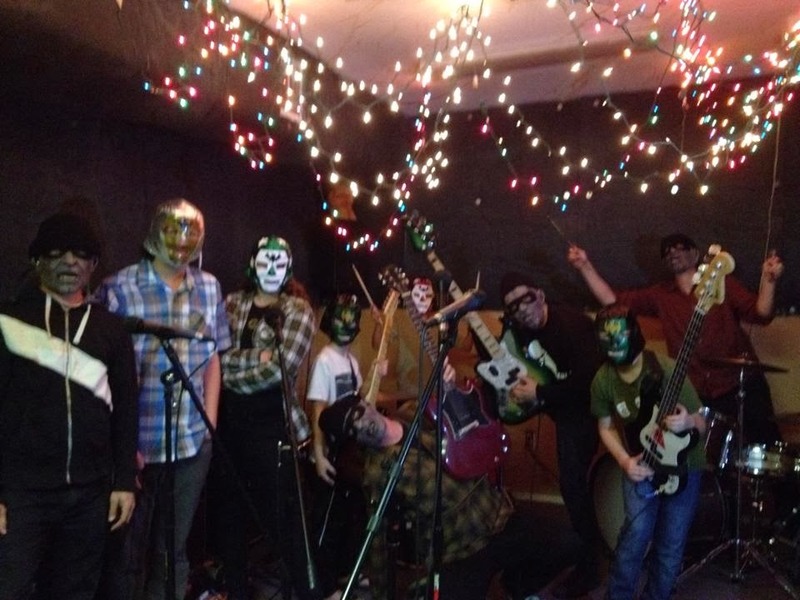 According to School of Rock San Diego's Music Director Tyler Ward, "We are so thrilled that the Casbah and the local music scene have stepped up and wholeheartedly supported the kids for this project. The reason we did this show is because we want our young musicians to see that they don't have to go far to find amazing artists working hard and making great music; it's happening right in their back yard." Bands being covered include Mrs. Magician, Spider Fever, Octagrape, The Widows, The Locust, Lord Howler, Weatherbox, The Tree Ring, The Nervous Wreckords, Beehive & The Barracudas, The Midnight Pine, Creepy Creeps, The Heavy Guilt, Black Hondo, The Album Leaf, Blackout Party, Night Marchers, Sleeping People, Rocket From The Crypt, Pinback, Rafter and Transfer. Many of these band members have already stopped by the School of Rock studio to meet the kids and run through their songs with them, and many will be in attendance at Saturday night's show which begins at 7:00 pm.